Have a question? Email us at clear@uconn.edu and mention the Coastal Hazards Viewer. In this example, the Sea Level Rise Group is checked on as well as the Average Monthly Maximum Group. Layers in the group, like Inundation, can now be checked on and viewed. 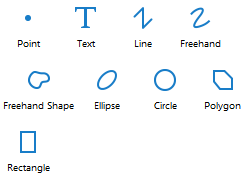 It is important to be familiar with the layers before you use them for a particular application. Layer information is available for many layers through the Layer Actions panel in the form of guides and metadata. 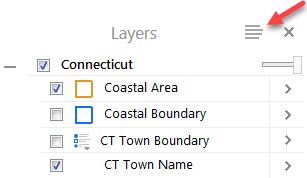 The best place to get information about the layers in the viewer is the Coastal Hazards Map Viewer Information page.